Get your guy style fashion correct with a collection of slim fit dress shirts by DE. These slim fit dress shirts can and will take your style to the next level. 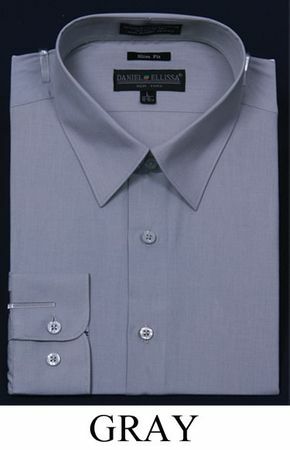 This all gray slim fit dress shirt comes as a classic style that can be worn to the office or the club without missing a beat. Featuring the modern slim fit style look that is ready for action. Made of cotton/poly.